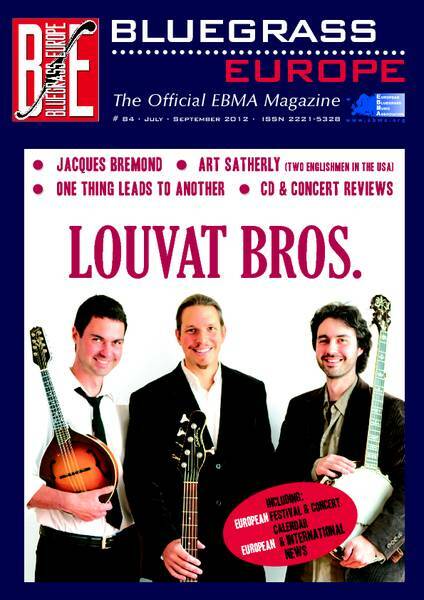 Thanks also to Pieter Groenveld of Strictly Country Records for this YouTube link to a video on the new CD by the Louvat Bros, who as well as being featured in BE #84 are also the first recipients of the Liz Meyer European Innovation of Bluegrass Music Award. 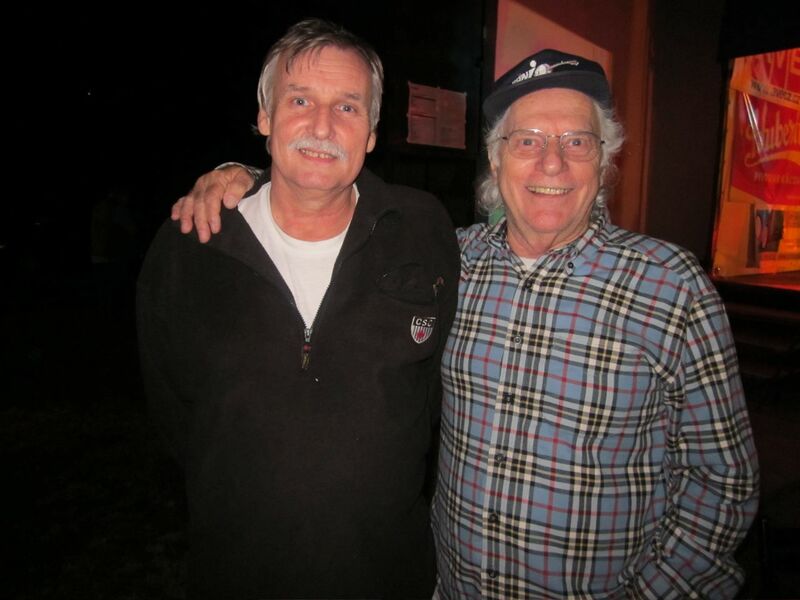 Thanks to Mala Gassmann, who sends from Neuenkirch, Switzerland, tour dates in the coming months for her band Mala & FyrMoon (also on Facebook). More details are on Mala's show schedule. 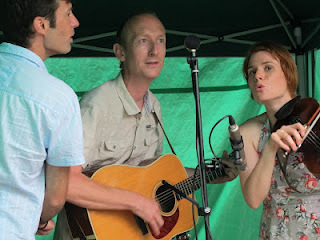 The band lineup for Didmarton 2012 is now posted on the website and we have added a provisional programme in the concerts section. Please note: this is provisional and subject to change. 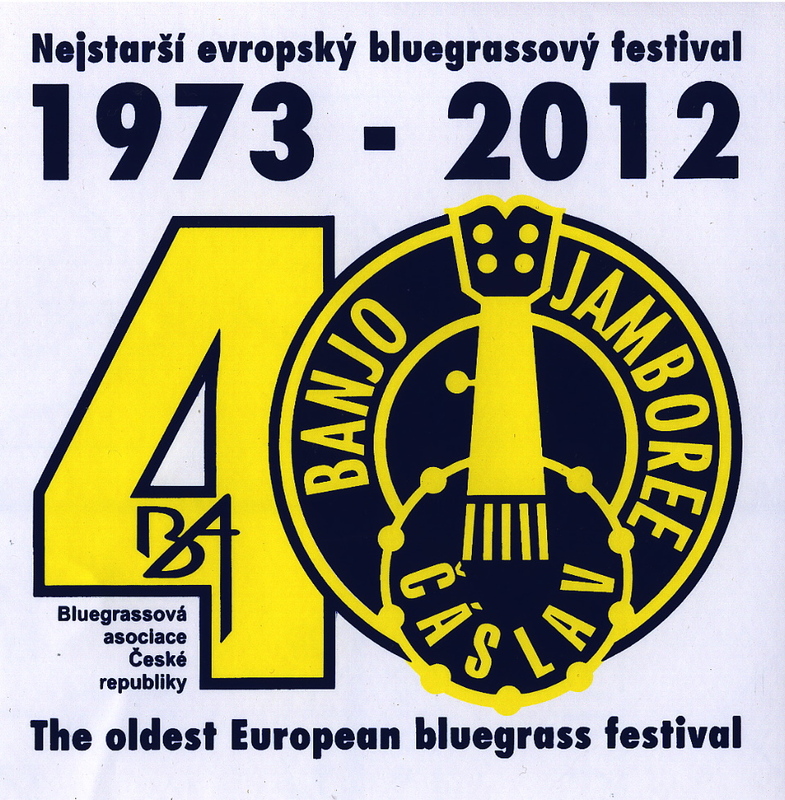 The festival takes place 30 August-2 September 2012 at Kemble Airfield near Cirencester, Gloucestershire. All information on the website. As usual, there is a fantastic lineup again and some new faces coming along to play the festival for the first time. 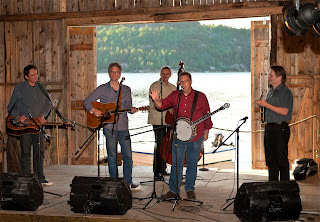 Besides the normal bluegrass and old-time programme, there is a great choice of music coming our way at the end of August. Forty-five bands and still one or two slots to fill in! Update 20 July: Read the festival's latest release here: the total of bands is now up to 50 and the full lineup is on the bands page. And there's more! 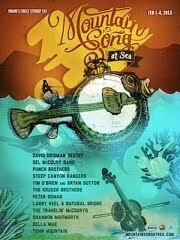 If you are an active member of the International Bluegrass Music Association (IBMA) as of 27 September 2012, you have a chance to win an oceanview cabin for two (value $2,030) on Mountain Song at Sea’s Bluegrass Cruise. 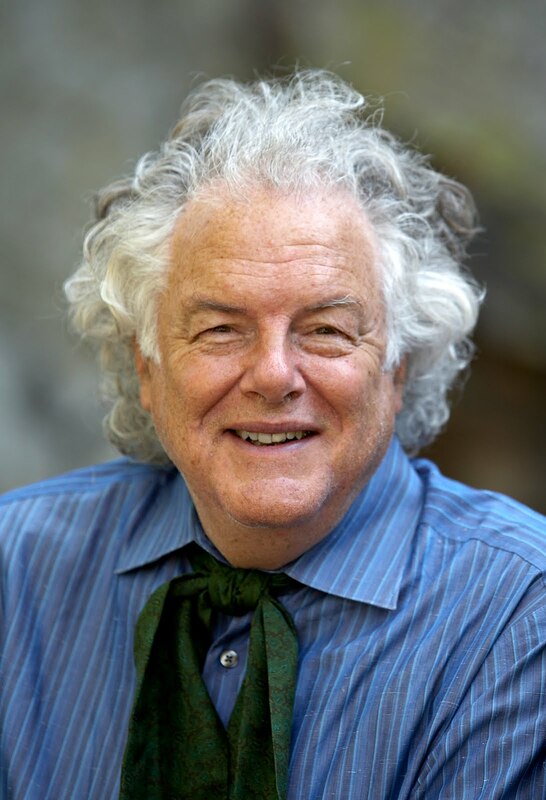 This sea-going festival features an amazing lineup: the David Grisman Sextet, Del McCoury Band, Punch Brothers, Steep Canyon Rangers, Tim O'Brien and Bryan Sutton, Kruger Brothers, Peter Rowan, Larry Keel & Natural Bridge, Travelin' McCourys, Shannon Whitworth, Della Mae, and Town Mountain. The draw for the winner will be held on stage during Fan Fest at IBMA’s World of Bluegrass in Nashville, Tenn., on 28-30 September 2012. The round-trip cruise (1-4 Feb. 2013) on the luxurious Norwegian Sky will be from Miami to a private island in the Bahamas, with concerts, artist collaborations and jams, and plenty of interaction between artists and fans in beer and wine tastings, workshops, games, and a poker tournament with cruise hosts the Steep Canyon Rangers, IBMA Entertainers of the Year. There's a 10% discount for IBMA members; the IBMA is also offering up to the end of 2012 a discount bonus for professional membership. 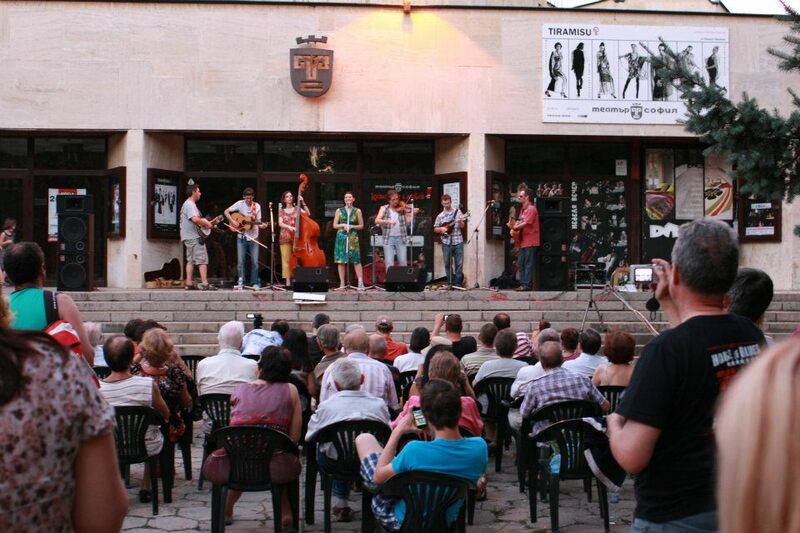 More information is here and on the IBMA e-newsletter. Following the EBB post of 26 May 2012, thanks to Al Evers of A Train Entertainment for further news on the tour that Peter Rowan will be playing in Italy, France, and the Czech Republic in November 2012. 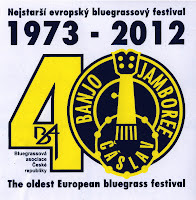 Please note that a venue for the show in Prague on 25 Nov. is now confirmed. 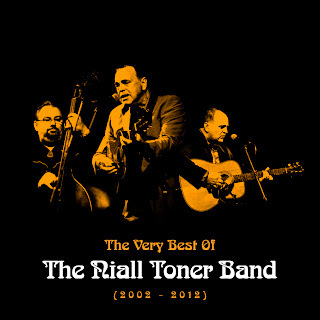 To celebrate the fact that Ireland's Niall Toner Band have been making music together for ten years, they are releasing a compilation CD, The very best of the Niall Toner Band (2002-2012), comprising twenty-one original songs drawn from their three previous Avalon Records albums. 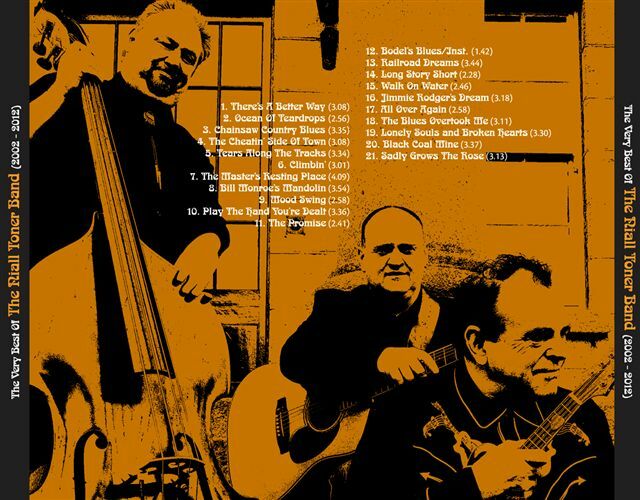 Such favourites as 'Bill Monroe's mandolin', 'The Master's resting place', and 'Jimmie Rodgers' dream' are included. 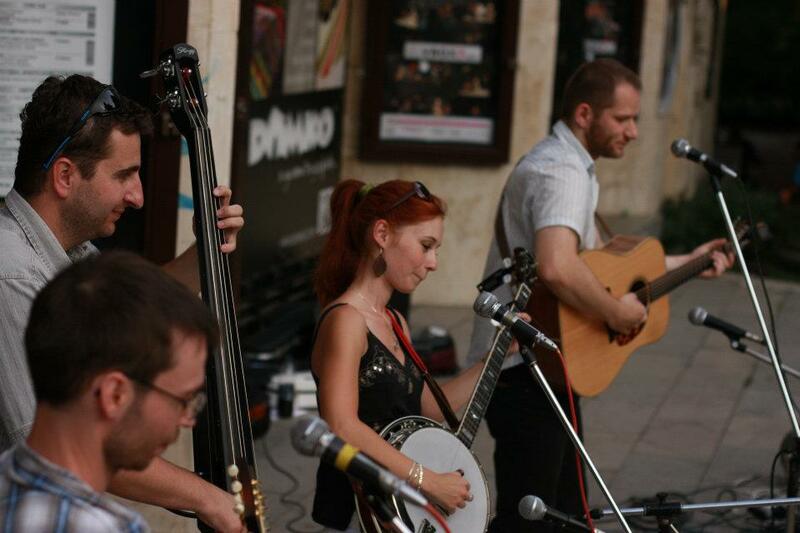 The NTB look forward with enthusiasm to making a lot more new music together in the future. 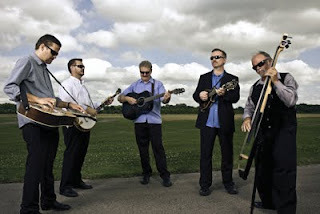 Niall's first album with Pinecastle Records is due for release in Nashville on 25 September, during IBMA week 2012. The very best of the Niall Toner Band (2002-2012) will be available for purchase from Friday 20 July at NTB live shows, from the NTB website, and through record stores. Every year, we have tried to try to give IBMA's World of Bluegrass a little more international flavor. This year in Nashville is no exception and we hope to continue that tradition from Nashville on down the road into the future. Lately Dwight Worden (the new chair of IBMA's International Committee), Nancy Cardwell (IBMA's interim Executive Director), and myself have been brainstorming for ideas of how to make the international component of the organisation more visible during the week of the Business Conference, the Award Show, and Fan Fest. Some of these ideas may already materialise this year, others may be developed in future years. Come to the WOB, for the whole week or part(s) of it. Make the atmosphere more international (exotic?) 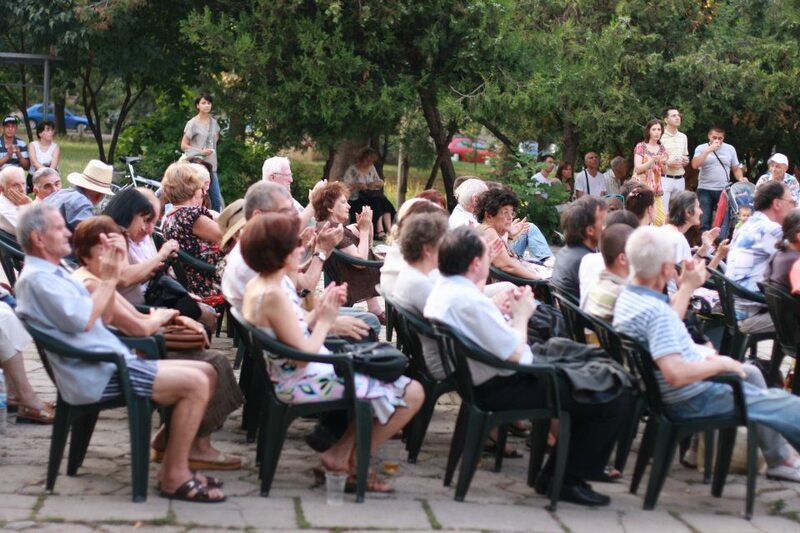 by participating, and enjoy being there! // Register here. Present your music on stage. // Contact IBMA (e-mail). Jam with bluegrass musicians from everywhere! If you cannot be there yourself, send promotional materials, to be displayed at the EBMA booth* and/or music that may be played over the in-house sound system during breaks. // Send to IBMA International Dept, 2 Music Circle South, Suite 100, Nashville, TN 37203, USA. Bluegrass related business/organisation - festival promoter, luthier, association, record company, etc. Rent a booth at the Business Conference and/or Fan Fest to present what you have to offer. // Contact Jill Snider at IBMA (e-mail). If you cannot be there yourself, send promotional materials - posters, flyers etc. to be displayed/handed out at the EBMA booth* or at the Foreign Affairs events. // Send to: IBMA International Dep, 2 Music Circle South, Suite 100, Nashville, TN 37203, USA. Participating in any way is already costly, especially if you come from far away, and we are happy to provide these services for free. However, it does cost us (the EBMA mainly) quite a bit to rent the booth and the Foreign Affairs room, so if you are able to sponsor a little bit - any amount is welcome, either in cash in Nashville, or by PayPal to rienk.janssen@planet.nl - that would help! Your contributions will be acknowledged, during and/or after the event, unless you do not want that. 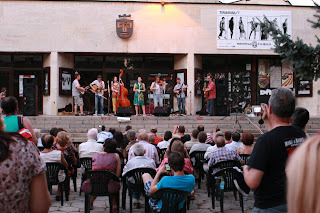 Suggestions for how to enhance the international aspect of the World of Bluegrass and the IBMA in general are always welcome! 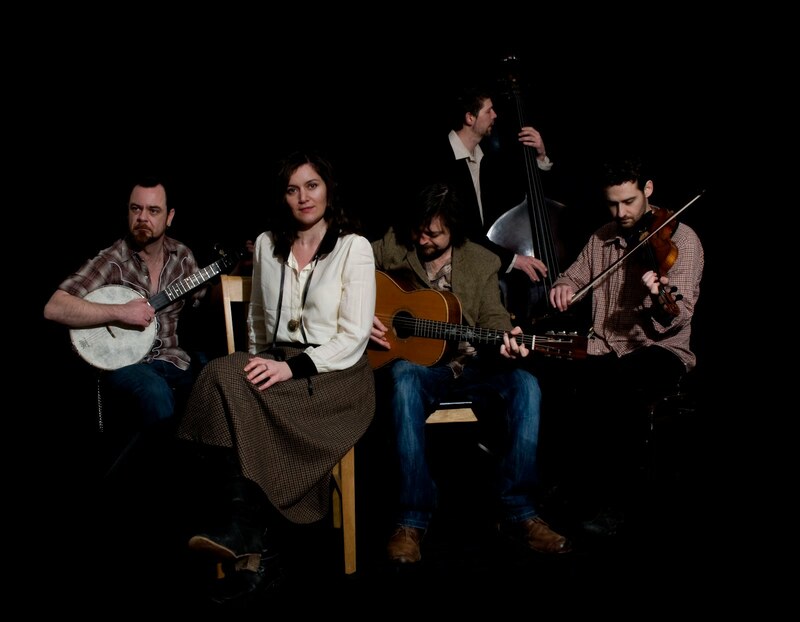 New staff member Caroline Wright initiated a new 'Bluegrass Music Heard Round the World' column in the IBMA newsletter - check it out here and send her your own news! Thanks to Lilly Drumeva, who reports on the first bluegrass music festival held in Sofia, Bulgaria, on Wednesday 11 July, in front of the Sofia Theatre in Zaimov Park, beginning at 7.30 p.m.
Lilly sends this link to six performance videos showing her band, Lilly of the West, and Candy Floss (Slovakia) playing together at the festival. The EBB picked these photos of the event from among many on the LOTW Facebook. Thanks to FOAOTMAD, the British association for old-time music and dance, for the news that the Kattinge Gathering, the main event of the year for old-time musicians in Denmark, will be held on 14-16 September 2012. 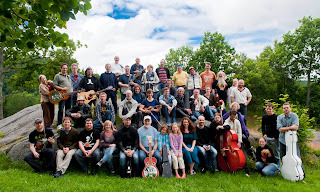 DAFF arranges a monthly old-time jam at Cafe Mellemrummet, Ravnsborggade 11, 2200 Copenhagen N. It is held from 7 p.m. to 11 p.m. the second to last Tuesday of each month. Everyone can join and it is free. 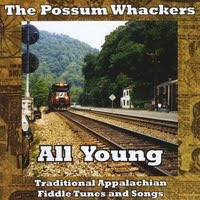 Our illustration shows the cover of an album by the Possum Whackers, a leading Danish old-time band. 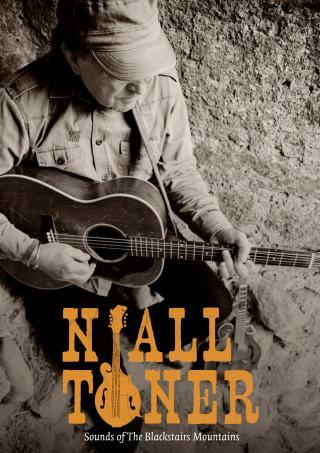 Broadcaster, bandleader, singer/songwriter, and recording artist Niall Toner, who currently holds the title of #1 most downloaded artist on AirplayDirect in the folk and bluegrass genre of all time, will also tour in the USA in autumn to support his coming Pinecastle release Onwards and upwards. Niall and I Draw Slow are both expected to appear at Pinecastle and MME showcases in Nashville, TN, during IBMA's World of Bluegrass week. Further details can be seen here. 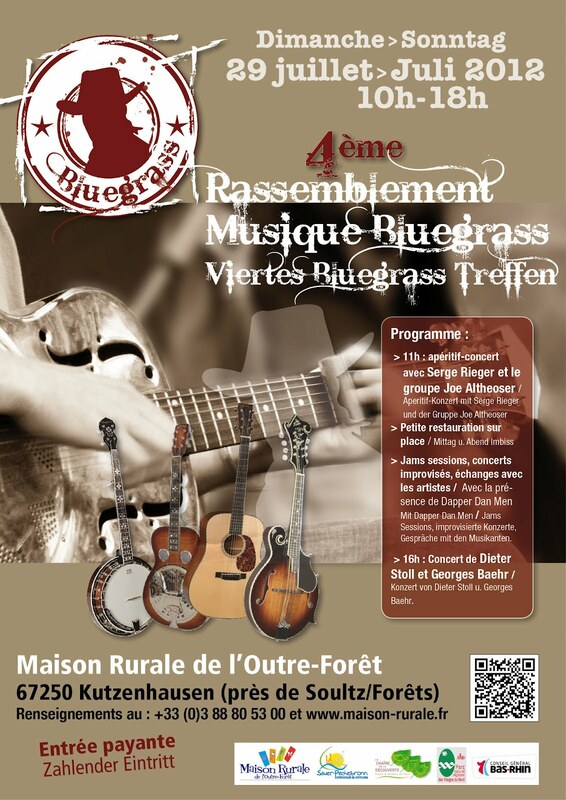 Thanks to Walter Fuchs, country music historian, radio presenter, and organiser of the annual International Bühl Bluegrass Festival in Bühl, Germany, for news of the 4th Bluegrass Meeting (4ème Rassemblement Musique Bluegrass/ Viertes Bluegrass Treffen), which will be held at the Maison Rurale de l'Outre-Forêt in Kutzenhausen, Alsace, France, on 29 July 2012. 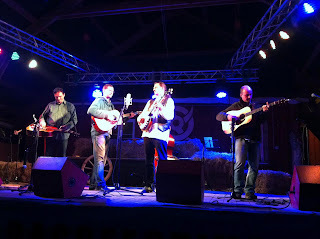 It's a wonderful cozy place to relax with great bluegrass music in a rural area with country museum and all. Good Alsatian meals and wines. 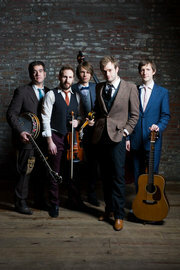 Bluegrass in Belgium reports that the Punch Brothers (USA) will be playing a FREE show in Brussels tomorrow afternoon (14:00, Wednesday 11 July). The venue is the Beurs Cafe at the Beursschouwburg, A. Ortsstraat 20, 1000 Brussels. More details, together with a performance video of the band, can be found on the Beurs Cafe website. 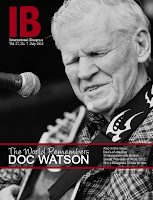 The monthly IBMA online news journal International Bluegrass (now available also in a downloadable magazine-type format) has a special feature this month on the late Doc Watson. The IBMA invited people all over the world to send in their memories of Doc and the difference he had made to their lives. A selection of the stories - including several from different European countries - can be read here and on a second page that includes a set of links to other commemorative material on the web. 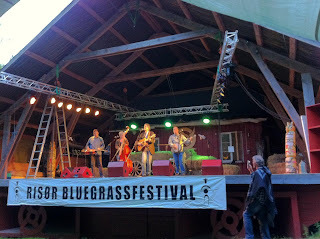 Thanks to Lilly Pavlak for these and many more photos of the 40th Banjo Jamboree, the oldest European bluegrass festival, held just over two weeks ago (15-16 June) at Čáslav in the Czech Republic. More photos by Lilly can be seen here, and still more on Lilly's Facebook album. 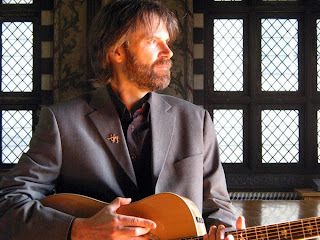 Thanks to Emily Amos of the PR department of Compass Records (USA) for the latest Compass newsletter, giving news of special interest to radio presenters. New releases by Compass that are now available for airplay include Pa's fiddle, based on the 'Little House on the Prairie' series of books by Laura Ingalls Wilder, and presenting music from the American frontier of the late nineteenth century. Another new album is Best day by Sheila Carabine and Amanda Walther of the Canadian duo Dala. The two releases most relevant to bluegrass enthusiasts (including bluegrass radio presenters) are the debut Compass release by Larry Stephenson, What really matters, and the latest album by Special Consensus, Scratch Gravel Road. Further details, including links for streaming the albums and for downloading photos and bio material on the artists, are on the Compass newsletter. If you are interested in receiving any of these albums or additional materials for airplay by mail, please respond with your best mailing address. Contact Emily Amos by e-mail.